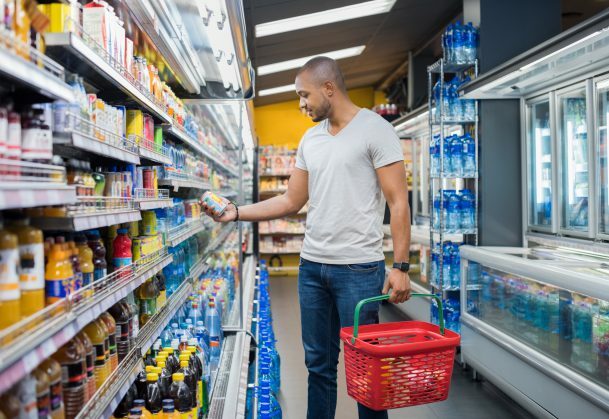 Prominent health information on food labels could help lead to better decisions about what to eat, suggests research published in Psychological Science. A study by researchers from the University of Missouri–Kansas City and the University of Kansas Medical Center found that calorie information led study participants to make healthier choices, as expected. Further analysis showed that, when deciding whether or not to eat something, overweight people accounted for health information more slowly than taste information in comparison to people who are normal weight or obese. When calorie information was displayed alongside the food options, participants in all three weight groups made healthier choices about what to eat, and people who were overweight showed decision making that was similar to those who had normal weight. When people make decisions about what to eat, taste and health are two main considerations. Past research has indicated that the speed of information processing is associated with the choices we make and the mental effort required to make them. This latest research appears to support the idea that environmental cues can affect processing speeds, the amount of mental effort required to exert self-control, and the decisions themselves. Previous research on calorie labels has offered conflicting results. Some researchers find that participants make healthier choices when food is labeled, while others found no effect. In a computer-based task, participants evaluated pictures of food and decided whether they would, hypothetically, ‘eat’ or ‘not eat’ 60 different foods. The experimenters used detailed information about participants’ computer mouse movements as a physical representation of the decision making process as it happened in real time. For example, the data revealed that when a tasty but unhealthy food appeared on screen, many participants started moving the mouse toward the ‘eat’ button but eventually clicked the ‘not eat’ button, suggesting that they reconsidered their initial inclination after evaluating the health attributes of the food. Participants who were obese didn’t show a change in decision timing in response to calorie labels. The experimenters suggest that the eating habits of obese individuals may be tougher to change, since they are likely established more firmly. Across the world, obesity represents a health risk for many conditions — heart disease, diabetes, certain types of cancer; and their associated costs. Finding inexpensive, effective, large-scale solutions are important for addressing the medical and financial impact of obesity. Previous intervention research has shown that providing people with nutritional education (including how to make healthier food choices) can change participants’ eye movement patterns and eventual decisions about what to eat. The current experiment suggests that making health information more prominent may have similar effects, at a lower cost. This computer-based study is suggestive, but experiments that more closely approximate real-world decision making will be necessary for making conclusions about application and intervention. If study participants actually had food in front of them to choose and then eat, the tastiness-health decision might be affected by smell, anticipation, or a number of other factors.